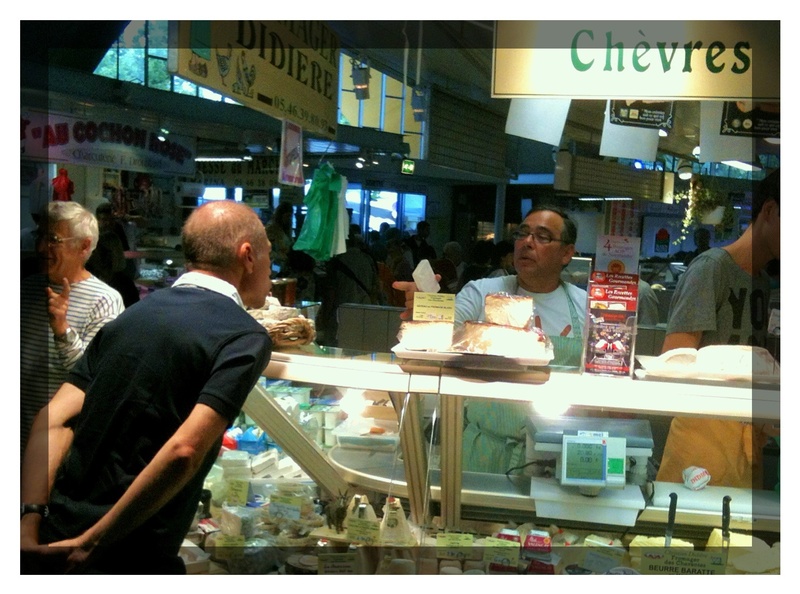 Laurent, at the market this morning in Royan, buying cheese for our lunch. But what about malted milk balls?? Oh, we had a toast to Grammy just before lunch. She was not forgotten (nor was Grandma). Didn’t think you could forget them.